Beauty was to be the mediator which should restore the primal unity of human nature … all experience goes to show that beauty needs her opposite as a condition of her existence. Beauty will save the world. Beauty is mysterious as well as terrible. The battlefield is the heart of man. WHAT ROLE DOES BEAUTY PLAY in our lives today? Is it an imperative, the soul of everyday life, a luxury to enjoy occasionally, or a distraction from the more serious matters in life? If it is vital to our happiness and our psychological health, where do we find it? How do we, as artist Mark Rothko asked, find room for beauty in our lives? In this multimedia lecture we will use the profound mythological, psychological, and cultural symbolism of the most famous sculpture in history, the Venus de Milo, as the leaping off point for an exploration into the way her story continues to influence us in the ongoing debate about beauty and the sublime, love and desire, eroticism and pleasure, and even justice and jealousy. We will explore how the “Aphroditic smile,” as the Greeks used to say, still casts its spell on us in the realms of love and romance, tourism, advertising, art, music, literature, poetry, and in our nightly dreams, and how vital it is to the health of our soul to find beauty despite the sorrows of the world. Phil Cousineau is a freelance writer, independent filmmaker, photographer, worldwide lecturer and adventure travel guide, and a television host for Link TV and PBS. For the last thirty years he has published widely on such themes as creativity, soul, movies, sports, beauty, and the mythic imagination. Cousineau has published over twenty-five books, including the worldwide bestseller, The Art of Pilgrimage, The Hero’s Journey: The Life and Work of Joseph Campbell, Stoking the Creative Fires, The Way Things Are: Conversations with Huston Smith on the Spiritual Life, and The Olympic Odyssey: Rekindling the Spirit of the Ancient Games, which was selected by the United States Olympic Committee as a gift book for American athletes at the 2004 Summer Games in Athens. He is also the author of Once and Future Myths and Deadlines: A Rhapsody on a Theme of Famous Last Words, which won the 1991 Fallot Literary Award, and The Blue Museum, which was acclaimed by the San Francisco Chronicle as a book of “dazzling … exquisite lyrics … that is able to draw profound questions out of ordinary life.” Deepak Chopra writes, “Phil Cousineau is a word wizard and his book, “Wordcatcher” is a delightful adventure into a magical world.” Cousineau's most recent book is Beyond Forgiveness: Reflections on Atonement, which is recommended by the U. S. Armed Forces for returning war veterans. He has also contributed to over forty other books. 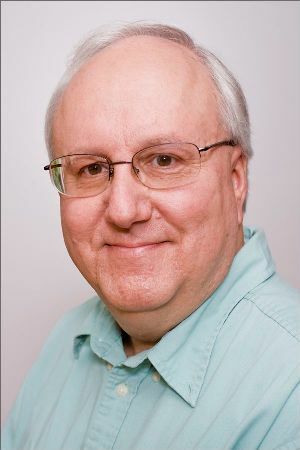 Besides his work in the book world Cousineau has also written or cowritten fifteen documentary films, including the classic work, in 1987, The Hero's Journey, based on the life and work of Joseph Campbell. Since then he has written Ecological Design: Inventing the Future; Wayfinders: A Pacific Odyssey; The Peyote Road; A Seat at the Table: The Struggle for American Indian Religious Freedom (with Huston Smith), and Forever Activists: Stories from the Abraham Lincoln Brigade, which was nominated for an Academy Award. Cousineau has been described by Dr. Smith as a "quadruple threat—a great writer, filmmaker, photographer, and coach," and by Joseph Campbell as someone who helped discover the "new myths emerging within the movies." Currently, Cousineau has been the host of the LINK TV series "Global Spirit" for the past four years, a series that premiers on PBS in summer 2012. He has been interviewed about creativity, mythology, soul, and sports on CNN-International, BBC-1, NPR, PRI, New Dimensions, and featured in many magazines and journals, including TIME, NEWSWEEK, and Parabola. Cousineau has also been a judge for the Emmys, San Francisco Film Festival, and the PEN-WEST literary awards, and most recently has been a featured commentator for several Warner Brothers DVDs, including The Natural, The Superman Deluxe Set, Double Indemnity, and Constantine. He is a Fellow of the Joseph Campbell Foundation, contributing faculty at the Institute of Imaginal Studies and the Sophia Center, at Holy Names College, in Oakland, CA., and a member of the Author’s Guild. He lives with his family in San Francisco where he coaches youth baseball. Often in the darkest of times in the depths of dream experiences we can witness the psyche offering us choices at the crossroads of our lives. Like getting “rebooted,” the psyche may during our lives, through the nigredo experiences, unplug us from many patterns in times of life crisis and allow us to literally start over based on what the soul wants in order to live a more genuine life. In health crisis; divorce; death of a loved one; change in career; a depression, the depths of the human soul seeks reorientation and dreams light the way as we awaken to the divine presence at the crossroad and discover our role is to awaken, to light an offering, a flame of awareness, make new subtle choices and course correct our paths for a life that indeed changes. 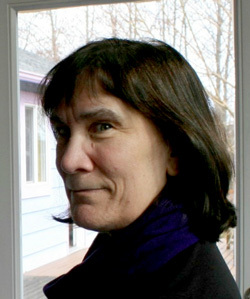 Monika Wikman, M.F.C, L.P.C.C., Ph.D. is a Jungian Analyst and author of Pregnant Darkness: Alchemy and the Rebirth of Consciousness (2005) and various articles and poems in Jungian psychology journals. She enjoys giving retreat seminars on applied alchemy and the religious function both at home and abroad. Monika obtained her BA from UC San Diego and her doctorate from the California School of Professional Psychology in San Diego, where her research took her deep into the study of dreams of people with terminal cancer. After teaching graduate students at California State University, Los Angeles, she graduated as a diplomat from the Jung-Von Franz Center for Depth Psychology in Zurich. She lectures internationally on mythology and symbolism, dreams, death and wellness, alchemy and creativity. 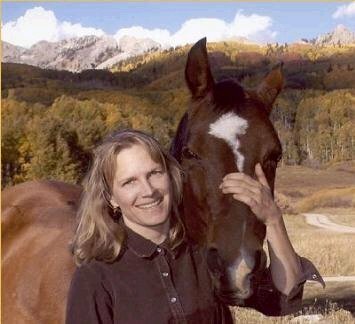 In private practice as a Jungian Analyst and astrologer, she lives along a creek and under starry skies in Tesuque, New Mexico in the company of friends, horses and dogs. CE Approved: In the course of this presentation, we will highlight for therapists some of the major points that will be useful in working with clients in the midst of threshold experiences. Atone: v. 1513, from atonen, to be in accord. Through discussion, conversation, poetry, and film clips this evening’s conversation between Andrew Harvey, a poet, translator and spiritual leader, and Phil Cousineau, a filmmaker and writer, explores the deeply human need to make amends for the wrongs we’ve committed and repair the harm we’ve caused. Together with forgiveness, atonement is an act of restorative justice between victims and offenders that makes possible a more complete reconciliation, both in everyday disputes and in long-roiling conflicts between nations. While much has been written about the compassionate act of forgiveness, there have been surprisingly few in-depth accounts about atonement, which Arun Gandhi describes here as “the other side of the coin” of the nonviolence movement. The purpose of this evening’s session is to explore how to heal that gap and help each other in the slow healing of wounds between aggrieved people everywhere. The evening’s conversation and the weekend workshop are based on Cousineau’s most recent book, Beyond Forgiveness: Reflections on Atonement (Jossey-Bass), which is widely used in the US military with returning veterans, in prisons, and among psychotherapists. Out of the chaos of our time, a birth is being engendered -- a birth of the embodied human-Divine -- the Divine human. This birth is taking place at every moment, on every level in every realm. It holds the secret of our time and the transformation it is asking of us, as we face the necessity to go beyond differences and divisions in our culture, so evident as we approach a major election time. This birth opens the way for us to come together and to start evolving a whole new way of being and doing everything so as to avert, as much as possible, the disastrous consequences of our imbalance. Engendered in the midst of these great crises of our times is nothing less than a birth of a new evolution of human consciousness that is the fusion of the most profound and most grounded mystical knowledge, stamina, and peace with focused, wise, radical action in order to support life, preserve the environment, ensure human rights, protect all animal species, and transform the political, economic, and cultural systems that spawn war and ensure the continuation of obscene and devastating poverty. Andrew Harvey was born in south India in 1952 where he lived until he was nine years old. It is this early period that he credits with shaping his sense of the inner unity of all religions and providing him with a permanent and inspiring vision of a world infused with the sacred. He left India to attend private school in England and entered Oxford University in 1970 with a scholarship to study history. At the age of 21, he became the youngest person ever to be awarded a fellowship to All Soul’s College, England’s highest academic honor. By 1977 Andrew Harvey had become disillusioned with life at Oxford and returned to his native India, where a series of mystical experiences initiated his spiritual journey. Over the next thirty years he plunged into different mystical traditions to learn their secrets and practices. In 1978 he met a succession of Indian saints and sages and began his long study and practice of Hinduism. In 1983, in Ladakh, he met the great Tibetan adept, Thuksey Rinpoche, and undertook with him the Mahayana Buddhist Bodhisattva vows; later, in 1990, he would collaborate with Sogyal Rinpoche and Patrick Gaffney in the writing of The Tibetan Book of Living and Dying. In 1984, Andrew Harvey began a ten-year-long exploration and explication of Rumi and Sufi mysticism in Paris with a group of French Sufis and under the guidance of Eva De Vitray-Meyerovitch, the magnificent translator of Rumi into French. In 1992, he met Father Bede Griffiths in his ashram in south India near where Andrew Harvey had been born. It was this meeting that helped him synthesize the whole of his mystical explorations and reconcile eastern with western mysticism. In 2005, in the historic Santuario de Guadalupe in Santa Fe New Mexico, Andrew Harvey delivered his vision of the contemporary crisis now confronting us in today’s world and its potential solution in what he has termed “Sacred Activism,” which he sees as the culmination of his life’s work. This extraordinary occasion was made into a documentary film. 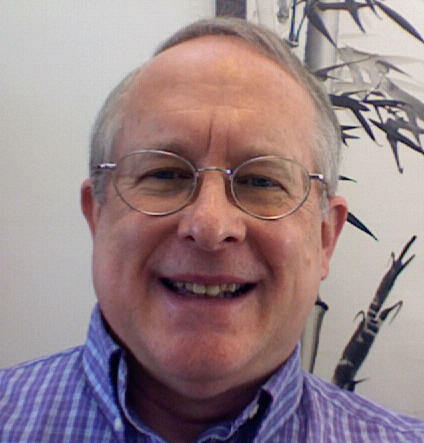 Andrew Harvey has taught at Oxford University, Cornell University, Hobart and William Smith Colleges, The California Institute of Integral Studies, and the University of Creation Spirituality as well as the at various spiritual centers throughout the United States. He was the subject of the 1993 BBC film documentary The Making of a Modern Mystic and appears also in Rumi Turning Ecstatic and The Consciousness of the Christ: Reclaiming Jesus for A New Humanity. 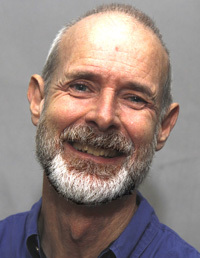 Andrew Harvey is Founder Director of the Institute of Sacred Activism. He also has a spiritual counseling practice in Chicago. 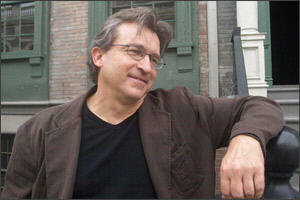 Phil Cousineau There is a sea-change occurring in our own time in the way we are meting out justice around the world. In this workshop we will try to put our finger on the pulse of the current moment, in which we are witnessing the rise of “restorative justice” in the courtroom as an alternative to the punitive model. We will also explore how justice is depicted in popular culture, which is a mirror for what is happening on the ground. Together, we will reflect upon different models of forgiveness and atonement to be found in literature, movies, sacred poetry, and the Restorative Justice movement that has been active on Native American reservations, in Canada, New Zealand, and Australia. Through conversation, discussion, film clips and break out groups we will offer a unique range of insights into the various ways that creative acts of atonement can help bring about a change of heart between aggrieved people, and help both victims and offenders alike have some peace of mind. Recommended Reading: Beyond Forgiveness: Reflections on Atonement (Jossey-Bass), 2011. One of the most disturbing and destructive polarizations in today's world is the divide between male/female, masculinity/femininity. Humanity's 5,000 year history of male dominance has so repressed women and the feminine drive in us all that there is much work to be done before we can fully resurrect and heal it. This work begins as we explore our own psyches to recognize these two complementary energies which comprise the living stream of our lives. As we integrate these inner opposites into our awareness, we bring greater balance to our personalities and relationships. The Partnership Profile is an assessment tool created by Dr. Raffa which highlights these issues, suggests which drive is dominant in the personality, and describes the positive and negative aspects of both. This is especially helpful for those who seek greater clarity about gender issues and practical strategies for healing the divides in themselves and their relationships. CE Approved The workshop experience will demonstrate the benefit anyone may receive from taking the profile and Dr. Raffa will model for therapists how to effectively interpret it to their clients. Jean Benedict Raffa is a former teacher, television producer, and college professor with a doctorate in Education from the University of Florida. In her late thirties she underwent a spiritual "dark night" that shifted her focus from the outer world of achievement and conformity to the authentic inner life of the psyche. The work of Carl Jung inspired intense study and led to the re-discovery of her passions for writing and self-knowledge. Since then she has been writing and teaching about psychological and spiritual matters from a perspective informed by Jungian psychology and personal experience. Her previous books on these subjects are The Bridge to Wholeness and Dream Theatres of the Soul. Her newest book is Healing the Sacred Divide: Making Peace With Ourselves, Each Other, and the World. For centuries, but particularly in the last few decades, Crop Circles have been a mysterious visitor arriving at our door. Recently, we have been able to scientifically identify that this phenomenon is no hoax, but something authentically unknown. In an engaging look at the science, history, and symbolic nature of this modern mystery, Gary S. Bobroff, M.A., offers a framework for ... our own deeper consideration of Crop Circles. Placing a modern “dream” into the context of modern reality, we will look at both the phenomenon itself and the nature of the era into which it has arrived. Both psychologically grounded and open to the inspiring awe of this new phenomenon, his approach is one that is accessible to everyone and no prior exposure to Jung or Crop Circles is required. Gary Samuel Bobroff, M.A. has an undergraduate degree in philosophy and a Master’s degree in Jungian-oriented Psychology from Pacifica Graduate Institute of Santa Barbara, California. He has been privileged to visit Crop Circles in the United Kingdom, Canada and the United States. 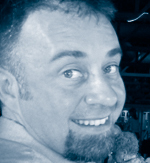 A dynamic and engaging speaker, he speaks and leads workshops internationally. He is the author of Jung, Crop Circles and the Re-Emergence of the Archetypal Feminine. Anne Baring, Jungian Analyst and author of The Myth of the Goddess has called his book “a tremendous achievement! Clear, lucid and comprehensive." “. . . a person is ill, but the illness is nature’s attempt to heal the person . . .” (CW, Vol.10, p.170). In this workshop participants will experience dream reentry through guided imagery, the Cancer Project’s primary approach for nightmare transformation. This meditative experience will be amplified as participants express their imagery in clay and then offer their totems in a ritual of transformation. Von Franz reminds us that when Jung spoke of the transforming nature of dream work he said, “It is not understanding the dream that brings about transformation, but the intensity with which we engage the images.” In this workshop, we will engage the images with intensity. Each participant also will receive an outline of research studies that support the use of dream work as an integrative medicine practice. Tallulah Lyons, M.Ed., is cofounder with Wendy Pannier of Healing Power of Dreams, a project of the International Association for the Study of Dreams (IASD). On the staff of cancer wellness centers in two Atlanta hospitals, she also serves on the faculty of the Haden Summer Dream Conference. Tallulah is the author of Dream Prayers: Dreamwork as a Spiritual Path, and newly published Dreams and Guided Imagery: Gifts for Moving through Crisis and Disease. According to Jung, archetypes of the collective unconscious are important in both informing and understanding human behavior. Our nation is once again on the eve of an important decision as it goes through the stages of determining our next president. Many observers have been struck by the transience or even complete absence in the election process of such historically important archetypal manifestations as the Hero, the Wise Old Man/Woman, the Willing Sacrifice, and the Gracious Father. One of culture’s richest sources of archetypes is mythology. This workshop will explore selected myths, including the story of Daedalus and Icarus, in an attempt to illuminate the nature and direction of the US 2012 Presidential Election. It will also include a brief discussion of archetypes and the collective unconscious for those without an extensive background in Jungian psychology. The primary focus of this workshop is not to predict who our next president will be, but to gain some insight into the archetypal nature of leadership and the necessary and relevant responsibilities of citizenship in a healthy democracy. Stephen Y. Wilkerson earned a Ph.D. in the history of depth psychology from Duke University but has spent most of his professional career as a physician, both in the military overseas and in private practice in Florida. He recently completed a Ph.D. in mythological studies at Pacifica Graduate Institute in Carpenteria, California, where he worked on the role of alchemy in Goethe’s Faust. He is particularly interested in interdisciplinary approaches to culture involving history, depth psychology, religion, and mythology. Jung was fascinated with the chakra system and yoga. During his travels in India, he gained great insight into the way this approach to the body, mind, and spirit figured into everyday life in India. He saw parallels between the chakra system and alchemy as symbolic reflections of the process of individuation. However, he cautioned Westerners about pursuing this work with the human energy field from a purely intellectual perspective. This workshop will begin by sharing knowledge about this ancient Yogic philosophy and then, as an aid to understanding, will actively engage participants in a movement exploration of the seven energy centers of the body. Sequentially moving up the spine—starting with grounded movement from the root chakra and progressing upward to the spiritual crown chakra—participants will move in their own way to musical accompaniment that supports the verbal imagery offered to connect with each body area and energetic intention. This activity is designed to enhance fluidity of movement throughout the body, gently work through the spine to help one release energy blocks, and invite a sense of harmony within one’s soma, soul, and psyche by learning to address the whole person. For this reason, anyone can benefit and therapists may be particularly helped to understand energy flow in others by experiencing it in their own bodies. CE Approved Therapists, whose presence and work too often are insufficiently grounded in body, can be particularly helped in their understanding of energy flow in others by experiencing how it specifically feels in the energy centers of their own bodies. 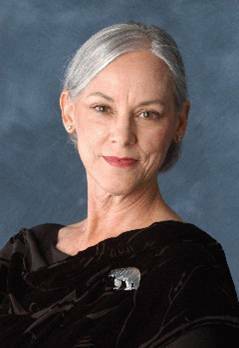 Jeanne M. Schul, Ph.D. is a Dance Specialist at Berry College in the Department of Fine Arts in which she coordinates the dance program and serves as Artistic Director of the Berry College Dance Troupe. 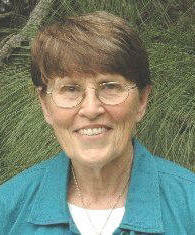 Jeanne holds a Ph.D. in Depth Psychology at Pacifica Graduate Institute and a M.A. In Dance from Texas Woman’s University. Dr. Schul is a Registered Somatic Movement Therapist with private practice at the Scott Center, where she leads dream groups, therapeutic yoga classes, Reiki and somatic therapy sessions. Jeanne has published numerous articles focusing on the intersection of dance, chakras, and dreams. 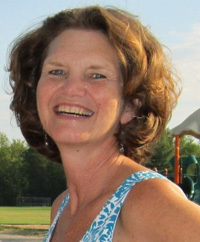 She serves on the Board of Directors of the Eastwest Somatics Network. 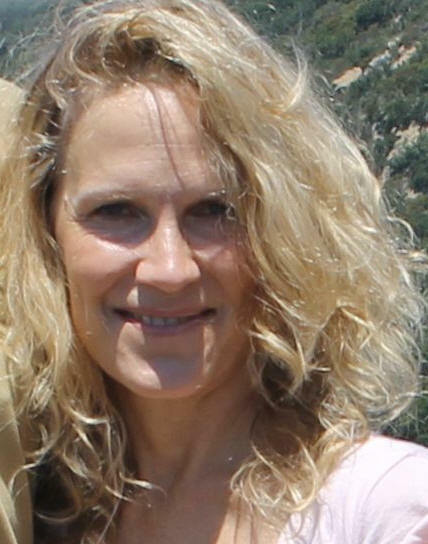 Dr. Schul received received the 2010 New Mythos Award from the OPUS Archives and Research Center in Santa Barbara, CA to conduct dream-inspired scholarly research in a project entitled, The Divine Feminine: Dancing Us into Being. What Does An Archetype Sound Like? This workshop is an introduction to a therapeutic process developed by John V. Berdy which applies C. G. Jung’s concept of the "archetype" to music, sound and vibration. The session will open with an explanation and demonstration of the principles of resonance, frequency and vibration with suggestions on how they can be applied to emotional and spiritual states. Participants will then be given a cross-cultural framework for extending Jung’s concept of ‘archetype’ to sound and music within the context of: 1) Basic sounds of our natural world; 2) Instrumental timbre; 3) Musical melody and mode as archetype. Criteria for identifying when one is in the presence of an archetype of music will be illustrated with: A) Selections from the core repertoire of Western classical music; B) Tibetan singing bowls; C) The ragas of North Indian classical music performed on the bansuri flute. The balance of the workshop will be an experiential exploration of the dynamics of music, sound and sacred archetypal words as expressed through the power of ancient ‘mantric’ languages such as Sanskrit, Arabic (following Sufi teachings), Hebrew and Aramaic. We will have the opportunity to practice ‘embodying’ these words using simple musical melodies drawn from the ragas of India. The session will conclude with examples of how these concepts may be utilized in the psychotherapeutic process by creating an alignment with aspects of our optimal Future Self. 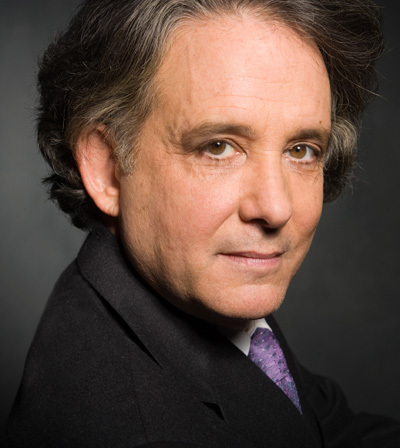 John Berdy is a Psychotherapist, Musician, Grief & Loss Specialist and creator of a unique form of music-enhanced therapy called Archetypal Resonance Therapy™ which incorporates the use of music and sound into the framework of Jungian archetypes. His concepts and techniques have evolved from an extensive thirty-year study of cross-cultural therapeutic music traditions, including nine years studying the classical music of India. John has 25 years of experience as a Professional Counselor and has worked in a variety of clinical settings, including community and hospital –based mental health treatment centers, therapeutic foster care and hospice. John was Executive Director of a regional Grief Counseling Center near Albany, N.Y. specializing in sudden, traumatic death loss and he subsequently trained grief counselors in New York City following the 9/11/01 terrorist attacks. He is presently editing for publication a book he has written on the therapeutic application of archetypes of sound and music. He and his wife, the Psychotherapist and Intuitive Consultant Claudia LeMarquand, MA, LPC, operate Black Swan Counseling & Mentoring in Asheville, NC. Drawing from research on Dreams of the Dying at UCSD Medical Center, and from clinical work with the Dying and personal experiences from the edge of life and death, this workshop will explore the tension between archetypal and human dimensions present at death and delve into the mysterious value of our humanity as depicted by the psyche in these times of great stretch and contact with the void. At death the encounter with our inner heavens and hells often open up as spontaneous life review abounds. Profound experiential contact with the archetypal presences of the psyche and psychoid may come to meet us, and our refined humanity becomes the valued substance. And of course, what happens for us when what has been just described is not the experienced process, but something else entirely happens instead, will also be discussed. Andrew Harvey will join in the discussion. CE: Therapists will learn how to help clients with terminal illness find a depth of meaning as they face their dying. Andrew Harvey Based on extensive historical research and twenty-five years of study of Gnostic gospels and Christian mystical tradition, Andrew Harvey will describe a more inclusive image than the Christ of the traditional Church; he will present a vision of Jesus as Son of Man, as humanity’s supreme mystical revolutionary and Sacred Activist. Andrew will describe a Son of Man not intent on being worshipped and not concerned with creating a church; he will introduce to us a Son of Man who achieved a new and intimate relationship to the Transcendent, reflected in a new and immanent human-Divine dialogue, echoed in a new and vital response to the ego-Self dialogue within the human soul; a Son of Man who's life and life-costing commitment to this new relationship challenges us to accept our own place in this essential dialogue; a Son of Man who sought to galvanize others to claim their own divine identity and its all-embracing love consciousness, to act with its power and passion for justice and for the transformation of institutions and conditions that are no longer life giving to the world. Special attention will be given to Jesus’ radical liberation teaching in the Gospel of Thomas and to the vision and writings of Father Bede Griffiths. A four-fold way, supported by six mystical practices, and elucidated by the eight mysteries and thresholds of Jesus' journey will be explored as part of a direct path to the Kingdom of God. Carl Jung wrote, "This path to the primordial religious experience... is like a still small voice, and it sounds from afar. It is ambiguous, questionable, dark, presaging dangerous and hazardous adventure; a razor-edged path to be trodden for God's sake only, without assurance and without sanction." Themes reflect the major issues going on in one’s life. A dream theme is the important message, idea, or perception that the dream is trying to bring to your conscious mind. As we focus on the dream as story, finding the basic message the dream is attempting to convey becomes easy and enjoyable. Attendees will learn specific techniques for determining the themes in dreams to which they can relate patterns of behavior in waking life experience. To illustrate the process, once it has been explained, the group will collectively explore a dream volunteered by a group member. Then with partners, we will explore other individual dreams, offering suggestions on possible themes based on our own imagined versions of the dream. After all have discovered dream themes, several methods will be offered for taking positive action in waking life as a practical way of addressing the issues the dreams have raised. Among the myriad of benefits of this approach: (1) the dreamer gets to the core issues presented by the dream quickly; (2) the dream group tends to relate more to the dream rather than the dreamer, increasing the safety for the dreamer; and (3) the theme provides a context or framework within which the dream symbols can be explored. Robert P. Gongloff is the immediate past President of the International Association for the Study of Dreams (IASD) and is currently serving as that organization’s Board Chair. 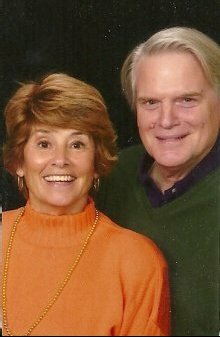 He has developed and conducted dream groups, workshops, and weekend retreats with the Washington, DC Area Dream Community; the Northern Virginia chapter of the Association for Research and Enlightenment; and in Asheville and Charlotte, North Carolina; and also at IASD conferences. He has hosted three international dream conferences, two in Asheville in 1997 and 2010, and the other in Washington, DC, in 2000. He also co-hosted a joint Sancta Sophia Seminary/ASD dream conference in Tahlequah, Oklahoma in 1998. He has written articles on dreams, and is author of a book describing his technique of working with dream themes: Dream Exploration: A New Approach. 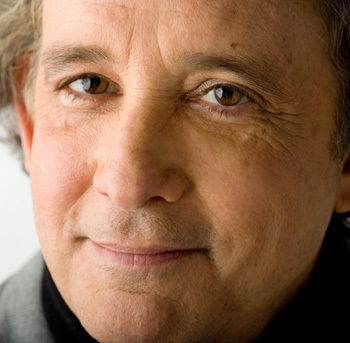 Lee Lawrence Lee Lawrence is a medical/psychological intuitive and an enthusiastic international presenter on understanding mystics, mysticism and the anatomy & physiology of the human soul. He combines his intuitive gifts with knowledge from studying religion, psychology, and neuroscience to bridge the gap between science and spirituality in order to help us understand ourselves to a degree we may have never imagined possible. He performs various demonstrations with volunteers during workshops to provide verifiable support for the “Unified Theory of Consciousness” and validates the detailed interactions between the physical body and consciousness. After a near death experience in 1988 followed by a profound spiritual experience in 1991, Lee discovered he has the ability to read souls and outline their development during life. Other people’s thoughts became physical tangible objects to his sensory perceptions. A search to understand the various research results obtained performing investigative research on individual’s soul fields led him to the writings of Carl Jung and depth psychology as a model for the patterns of memory storage, retrieval, processing and perception formulation. Jung, viewing spiritual growth as the underlying need for people in their psychological struggles, examined many of the world religions and searched for universal truths common to all religions. The “Red Book” is a journal of Jung’s quest. Lee will analyze Jung’s perceptions and their foundations, including Red Book illustrations, explaining many of the experiences beyond Jung’s own knowledge and awareness. He will also outline the anatomy & physiology of the soul and demonstrate how depth psychology works and why it often encounters insurmountable obstacles to further growth. His ability to read the stored early perception formative experiential memories often unavailable to individual recall, allows him to explain archetype formation, synchronicity, intergenerational traumas and foundational complexes. Lee was featured in the 2011 DVD Kundalini, an award winning documentary film featuring the ancient knowledge of kundalini awakening and people who have unlocked its spiritual energetic force. The diverse interests of his life have taken him on an Academic path with many turns – from International CPA, tax law professor, and forensic litigation consultant to a return to the university for a degree in psychology to further understand his intuitive abilities. He lives with his wife in Chapel Hill, NC. Doug Bennett In places where science has investigated Jung's ideas, Jung has held up pretty well. Some of his big ideas, however, do not have a place in current science: ideas like the collective unconscious, archetypes, synchronicity, dreams and active imagination as sources of meaningful information. In this workshop we will explore science-based mechanisms that use the properties of the quantum field, holonomic brain theory, and quantum computers in our cells to explain and account for Jung's ideas, up to and including god (“g” god is a general divine being, as opposed to “G”: god, the God of a monotheistic religion). No science background is required and no equations will be shown. When we understand how this all works, we can see that Jung's ideas are a correct description of how the real world works. Now we don't have to keep Jung's world of spirit and collective intelligence separate from our everyday world of rocks and cars. The perception model in the holonomic brain theory helps us understand why we see what we do in dreams and active imagination. The idea that archetypes exist and can guide our decisions and development becomes quite normal. We can talk about the nature of god and the precise meaning of “All Is One”. For people who maintain a mystic view of god, that is, the divine is accessible through inner experience, this workshop will put all the pieces together. Doug Bennett is a chemical engineer by training. He spent many years in software training and consulting, before taking up energy and music healing. He was set on his life-long quest to find spirit in science by those two wise theologians, Mark Twain and George Bernard Shaw. The result of that quest is contained in his book, Life and Spirit in the Quantum Field. He has been a presenter at the Haden Institute Summer Dream and Spirituality Conference for five years (dream work in a Jungian and Christian context). 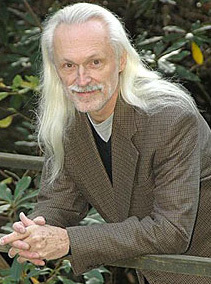 He writes and speaks on the normalcy of the paranormal and the reality of spirit from his home in Brevard, NC. Intuition is a word we use to describe deep inner knowing or access to information that does not come from more customary, linear, and direct forms of communication. Some people define intuition as having a “gut feeling” about something. However, it is more than this. Intuition is not simply feeling or sensing. It is the intricate gestalt of awareness that integrates the senses into a comprehensive form of insight that emerges from direct connection with an expansive energetic system, sometimes referred to as the "Akashic field." Intuition is quantum entanglement in action! The astronaut Edgar Mitchell experienced his own intuitive epiphany while he was observing the earth from outer space. He described his experience of being immersed in deep feelings of compassion and empathy for all living beings and for the earth itself; The intuitive function actively demonstrates our capacity for compassion and connectedness. It is a primary means by which our personal experience is rooted in the ground of the collective consciousness or, as it is also called, the objective psyche. Intuition can be cultivated through meditation, mindfulness, introspection and engaging in what Dr. C. G. Jung called “active imagination”. The cultivation of intuition through these practices can help us develop into more empathetic, compassionate and creative human beings. The same practices that help us to develop the intuitive function also serve to enhance our skills in emotional regulation and whole brain function. Discussion of Claudia’s unique theoretical framework of the process and development of intuition. Enjoyable exercises that will give participants the opportunity to practice their intuitive skills. A Modeling for therapists of how to help clients engage in the practices that will help them to benefit, when appropriate, from the use of their natural intuition. Claudia J. LeMarquand, MA, LPC has been a practicing Intuitive for over forty years and has twenty-eight years of experience as a Professional Counselor. 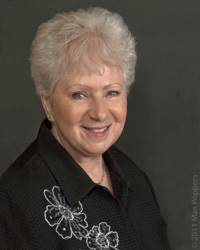 Claudia began her work as an Intuitive Consultant at the age of seventeen. In early childhood she had a visionary, mystical experience that “turned the lights on” and gave her ‘direct awareness’ of the interconnectedness of all people. This also resulted in the opening of a field of expanded perception that has continued throughout her life and led her to the study of psychology and spirituality. Claudia earned a BA degree in Religious Studies from the College of St. Rose, Albany, NY and a MA degree in Counseling Psychology from Antioch University, Keene, NH. 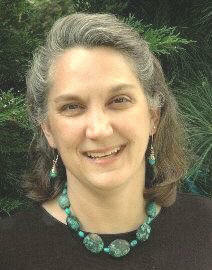 She is a graduate of the Assisi Institute in Brattleboro, Vermont and is a Certified Archetypal Pattern Analyst. 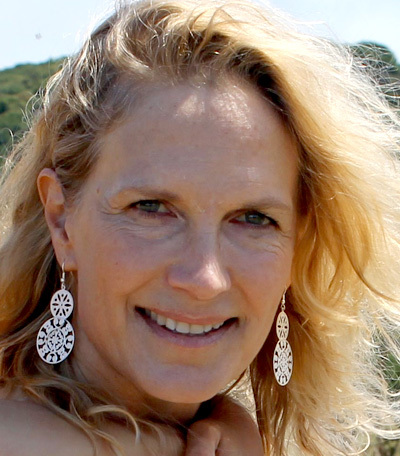 Claudia’s final project for the Assisi Institute was titled “Intuition and the Akashic Field.” Claudia is a Licensed Professional Counselor in North Carolina and New York and operates Black Swan Counseling and Mentoring in Asheville, NC with her husband, John V. Berdy. She has worked in a variety of clinical settings, including hospice, an alternative education school and a sexual abuse treatment program which served abused adolescents, their families and sexual offenders. She has specialized training in trauma recovery and is a skilled, innovative trainer and educator. For the past twenty five years, Claudia’s private practice work has focused on blending psychology, spirituality and the arts. Jung said, "The creation of something new is not accomplished by the intellect but by the play instinct acting from inner necessity. The creativemind plays with the objects it loves." Play is relaxing. It energizes us. It relieves our stress. For most of us play is fun, even joyful. Play and your burdens feel lighter and doorways open to new possibilities. Play goes even deeper. In this workshop we will explore how Jung's playful relationship with the inner world opened up the vast world of the collective unconscious. As we observe play as a factor both in the natural world and in the ways that individuals (ourselves included) create through playful forms and expression, we will discover how we each are called to our own playful exploration and through it how we might be helpful to others in finding theirs. Mary Alice Long, PhD, is the creator of Play=Peace™ . She is a natural networker who loves to play and go with the flow. Mary Alice is highly imaginative and humorous. She plays well with others and brings together unusual combinations of ideas and people. She emphasizes the importance of bringing playfulness into all areas of life: dreaming (both waking & night), our relationships, work, and creating. Dr. Long is a Seattle-based Jungian therapist, and working artist and writer who earned her PhD in clinical psychology with an emphasis in depth psychology from Pacifica Graduate Institute. CE: This workshop will model for therapists who work with groups or individuals, a process which they can utilize with clients to reawaken their creativity, reduce their stress and help them open to their imagination and unconscious material in a non-threatening manner. This workshop will explore walking the paths of the Warrior, Teacher, Healer, and Visionary through the use of Angeles Arrien’s book The Four-Fold Way. In it, Arrien reminds us that the world is at risk and only by waking up to the sacredness of all things will balance be brought back to our world and our people. Angeles offers a way to walk a path to greater awareness. Through experiential exercises (with drumming, Mandala drawing, and inner journeying facilitated by The Bonny Method of Guided Imagery) around each of these four archetypes, participants will have the opportunity to connect more deeply to their inner instinctual nature. By the end of our time together, we hope each of us will enjoy a renewed vital connection with the earth, the peoples of the earth, ourselves and one another, thereby enhancing the capacity we each have to relate to ourselves and one another with ever-deepening consciousness and respect. CE Approved: Therapists will learn principles embraced in the wisdom of cultures from around the globe that can help them chart a path for their clients toward health and wholeness. A model to aid clients in processing and beginning to integrate these principles will be modeled. Barbara Davis is a Licensed Professional Counselor and a Fellow of the Association of Music and Imagery in private practice in Richmond. Barbara integrates traditional talk therapy with experiential therapies to create a safe, yet powerful, place for her clients to create change in their lives. Barbara has been active in Jungian education through Jungian Venture in Richmond and the former Journey into Wholeness for now nearly two decades. The Dances of Universal Peace were the vision of a Sufi master, Samuel Lewis. They use simple songs and movements to touch the spiritual essence within. These movements and songs make up over 400 Dances and include themes of peace (both inner and outer), healing (the Earth, individuals, and the global family), and the celebration of life's great mysteries. Dancers express harmony and community while celebrating the underlying unity of all the spiritual traditions of the Earth." No dance experience is necessary; all movements are taught. CE Approved : Participants will learn the spiritual significance of dance traditions from a variety of Western and non-Western cultures. 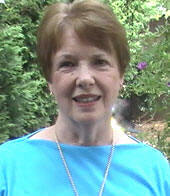 Betty Lou Chaika, LPC, is a psychotherapist in private practice in Carrboro. She is a practitioner of Authentic Movement (Contemplative Dance), a certified leader of Dances of Universal Peace, a frame drummer, and a musician for the Dances. 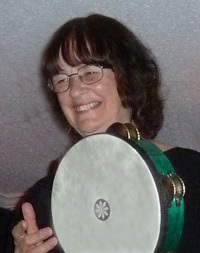 She especially enjoys connecting people with Nature and Spirit through song, dance, ceremony and pilgrimage. 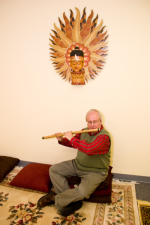 cross-cultural therapeutic music traditions, including nine years studying the classical music of India. Dr. Art Hunkins On Friday and Saturday Mornings before breakfast, everyone is invited to A Ritual Sharing of Bread and Wine with reflections offered by Rev. Ed Koffenberger. Others with special talents in music and/or liturgical dance etc... may also be involved. Rev Mary Ann Koffenberger is an ordained Disciples of Christ minister and a Board Certified Chaplain having experience in psychiatric, cardiac care, and rehabilitation centers for teens and adults. She is a certified yoga instructor. Mary Ann has been published in “Journeys,” a Journal of the American Association of Pastoral Counselors and has presented at national conventions with the AAPC and the Association of Professional Chaplains. 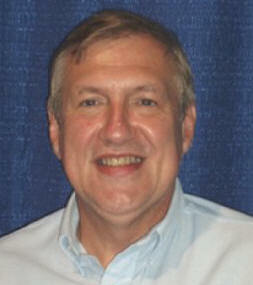 Born into a musical family, Dr. Art Hunkins began composing at an early age. He first studied violin and piano - later cello in high school and Oberlin College, composition and cello in Paris. He mastered in composition at Ohio University and earned his DMA (composition) at the University of Michigan. 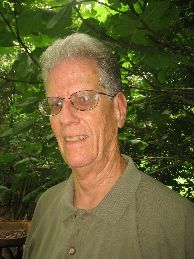 Dr. Hunkins was founder and director of the UNC-Greensboro Electronic Music Studios until his retirement in 1997. His compositions are of a religious and/or meditative nature and often make use of electronic media. Many recent works incorporate of the sounds of nature.